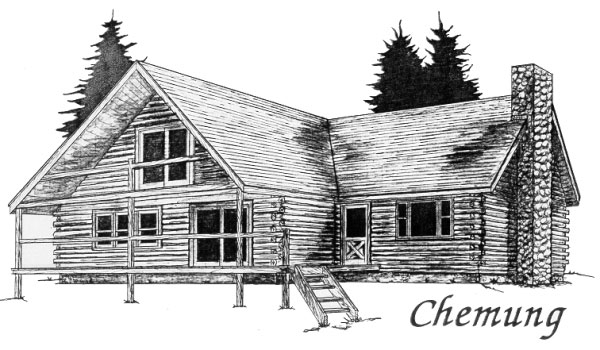 The Chemung model log home is quite popular with most people as it is medium size around 2000 sq. ft. and has 3 bedroom and 2 baths. It has a large Living Room area separate from the busy areas of the home that also has a nice cathedral ceiling and optional fireplace. The kitchen and dining room area is together with French doors that open on to a nice deck. 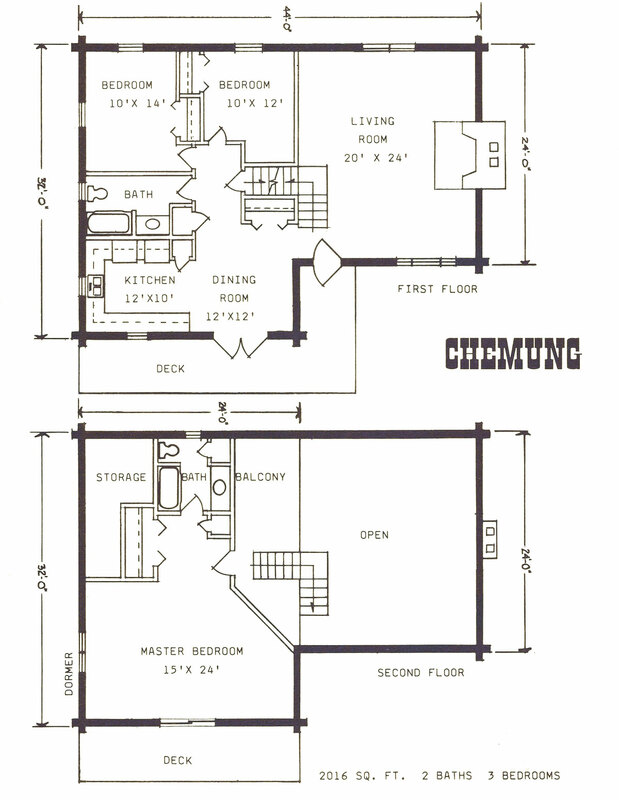 The 2nd floor has a dormer to give a good sized bedroom with its own full bath with sliding doors that open to a nice deck in the front and off to the side a nice balcony area overlooking the living room.